During the exhibition We will present our newest products. Air heater Volcano, this year winner of iF design contest and WING, air curtain. 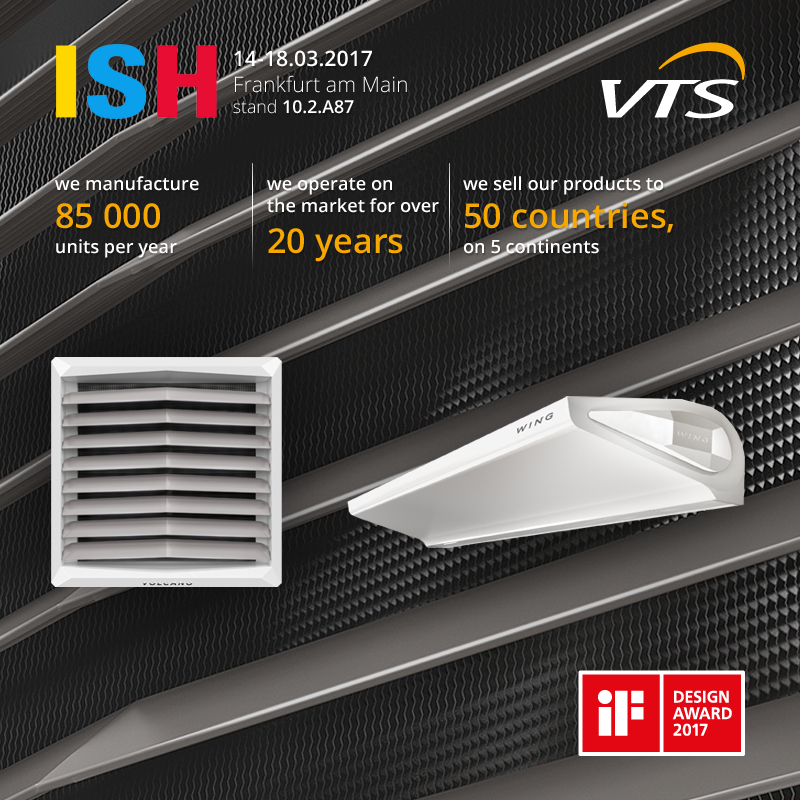 Also, our guests will have opportunity to meet offer for air handling units, made by VTS. We will be pleased to speak with You directly – please visit us on stand 10.2.A87.